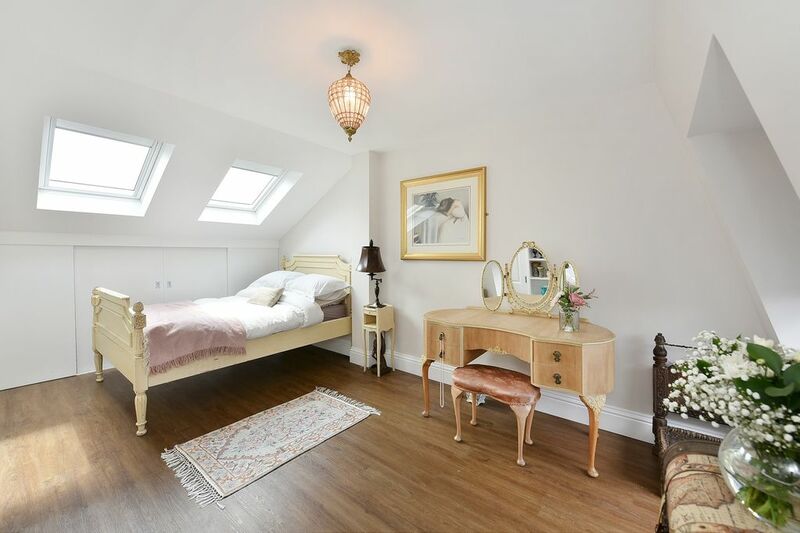 Top floor of a Victorian terraced house. Elegant and light double bedroom with a private bathroom. Lovely double bed with a Tempur mattress, plenty of storage available as well as tea and coffee. Perfect to home office space should you need it.A luxury bedroom with ensuite bathroom in a family home. Check-in 3pm-10pm on weekdays, 10am-12pm or 5-10pm on weekend. You will be given your own set of keys. No unauthorised visitors. Kitchen access during breakfast time only. No access to the rest of the house. Check out by 11am. Happy for you to leave your suitcase to collect later. We are a friendly couple with twins and this is our home where we’ll do our best to make you feel welcome. Happy to share our experience of London and the area over a coffee or cup of tea (It is ok if you want to head over straight to your private space too). One of us is home most days and can help if you have any questions. Continental breakfast served 8.30-9.30am to be confirmed prior evening. Tea and coffee available in your room. With 4 tube stations to choose from and bus stops 2 minutes away, it is easy to get to Central London or to the airports (Heathrow and Gatwick). We find it expensive to travel and stay in hotels with our kids. We are offering a child friendly place for those with kids so you don't have to pack the kitchen sink. From baby cots, high chairs, stair gates to toys, we have most of the equipment to cater for your little ones. An additional bedroom and private bathroom are available should you have other children or a nanny, price on request. As mentioned above, we are a family with young twins. Our kids are very well behaved but on occasions will do what kids do (which is cry).